Since her parents' bitter divorce, Mclean and her dad, a restaurant consultant, have been on the move - four towns in two years. Estranged from her mother and her mother's new family, Mclean has followed her dad in leaving the unhappy past behind. And each new place gives her a chance to try out a new persona: from cheerleader to drama diva. But now, for the first time, Mclean discovers a desire to stay in one place and just be herself - whoever that is. Perhaps her neighbor Dave, an academic superstar trying to be just a regular guy, can help her find out. 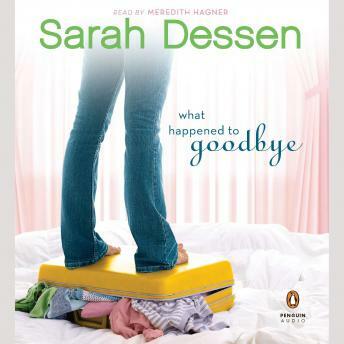 Combining Sarah Dessen's trademark graceful writing, great characters, and compelling storytelling, What Happened to Goodbye is irresistible reading.